Here’s some notes I was taking down while watching the behaviour tree video by Alex J. Champandard (part 1, part 2, and part 3). If it suddenly can’t do what is assigned to it, it should do some fallback action, perhaps wait until such time that it can do it again. Reuse behaviour: Reference a (reusable) sub-behaviour within a behaviour. Use concept of cascading style sheets/inheritance: Reuse generic behaviours and just override for specific functionality. Can even use strategy pattern on lieu of this (override behaviours during runtime). Encourage creating small, modular, connectable behaviours. The download link (at this blog’s sidebar) now has some sounds and music integrated in, thanks to Raf. My screen capture software isn’t working as smoothly as it used to, and recording sound doesn’t work, so I just recorded from my tablet. I’ve had a problem about having to duplicate materials and I thought I’d share about it. 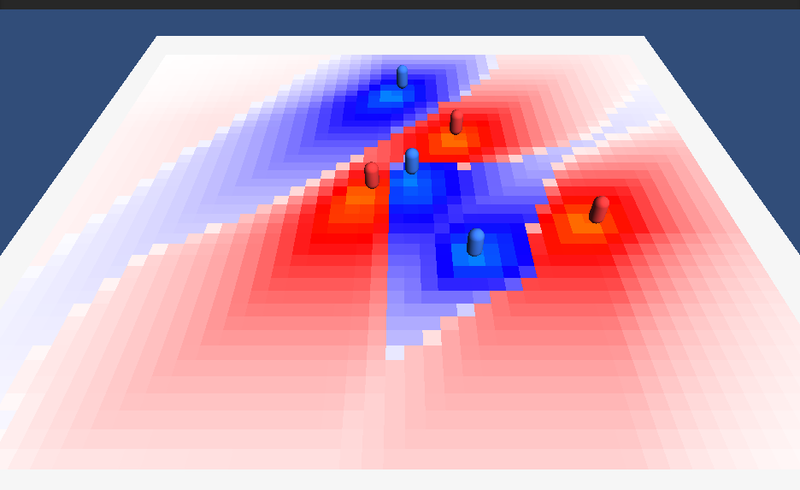 I was able to reduce it to 6 draw calls. Considering there can be about 30 to 35 characters on screen, this was a big reduction. My first try at an A.I. system was when I was making Death Zone Zero. I was inspired by the A.I. 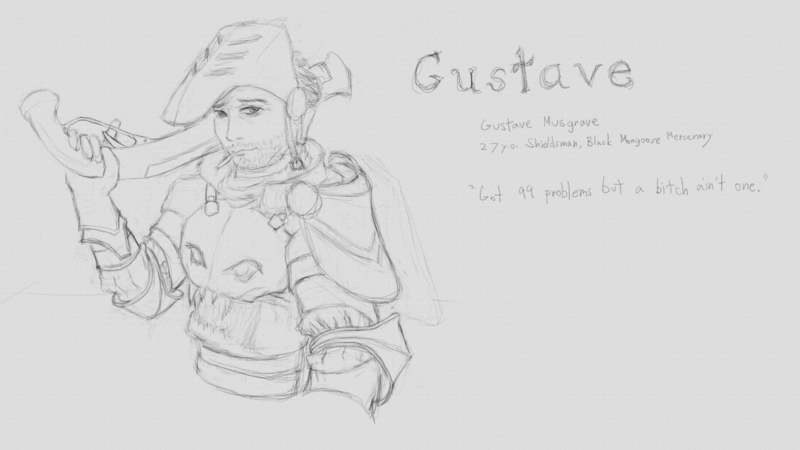 system in Dragon Age: Origins. If you’re a programmer, one look at these screenshots should explain how the whole thing is set up. To be clear about it, it works like one long if-then-else-if chain, but the important distinction is that you can add, remove, and change those if’s during runtime. So its basically a list of conditions, with an action to do for each, when the corresponding condition is met. You can also describe it as a priority list. It checks from the top first. If it found something to do at the top, the program won’t bother looking at the bottom conditions. Of course the program continually evaluates this long if-then-else-if chain (always starting from the top), so there is a chance the bottom entries can be triggered. It depends exactly on how lenient the conditions are. Am I dying? Then I should escape from the enemy. (Assuming I’m not dying,) Is an enemy in attack range? Then I should retaliate. (Assuming I’m not dying and not being attacked,) Did I detect an enemy? Then I should pursue him. (Assuming I’m not dying, not attacked, & not seen an enemy) Then I have nothing to do, I’ll just wander/patrol the area. Am I losing? Then assume a defensive position. (Assuming I’m not losing,) Is an immediate threat found? Then do something about it. (Assuming I’m not losing and no immediate threats,) Am I seeing a potential threat on the horizon? Then take it into account. (Assuming I’m not losing, and no immediate or potential threats) Then improve myself and keep on guard. You’ll notice each condition expects that the ones before it failed. This is essential in making it a priority list. You’ll also notice the entries are ordered from most important to least. This is also needed to make sure the A.I. works as intended. Building upon this, I had added the ability to add more than one condition for an action. The conditions would then be attached together in essentially AND operators. If one condition fails, the program won’t bother with the other conditions and move on to the next entry in the list. 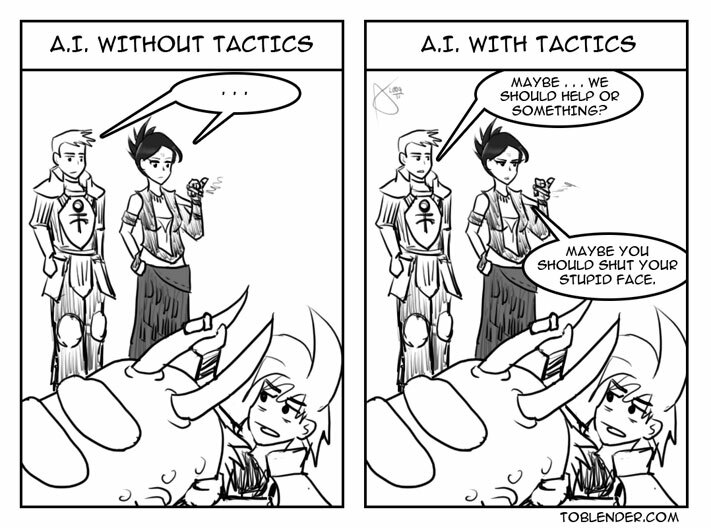 What I had problems with back then, was how to make enemy A.I. do coordinated attacks (flanking, one distracts while the other attacks from the target’s blind spot), and to make an A.I. switch between different priority lists. Say the enemy can act stealthily if he wanted to. 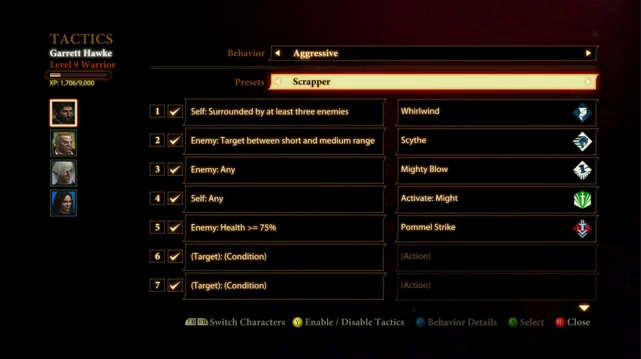 His abilities for stealth essentially mirror what he does while not in stealth: escape, attack, pursue, and patrol, but again, all as a stealthy variation. What I had been thinking then, is to add an action to make an A.I. switch to a different priority list if the situation calls for it. Then a lot of things happened and Death Zone Zero is currently on hold. Now that I am tackling A.I. systems again, I’m taking a pause and wondering how to do things again. I’ve heard about behaviour trees and how it’s very well suited for videogame A.I. I ended up reading this #AltDevBlogADay article on behaviour trees, and chanced upon one of his references: the A.I. 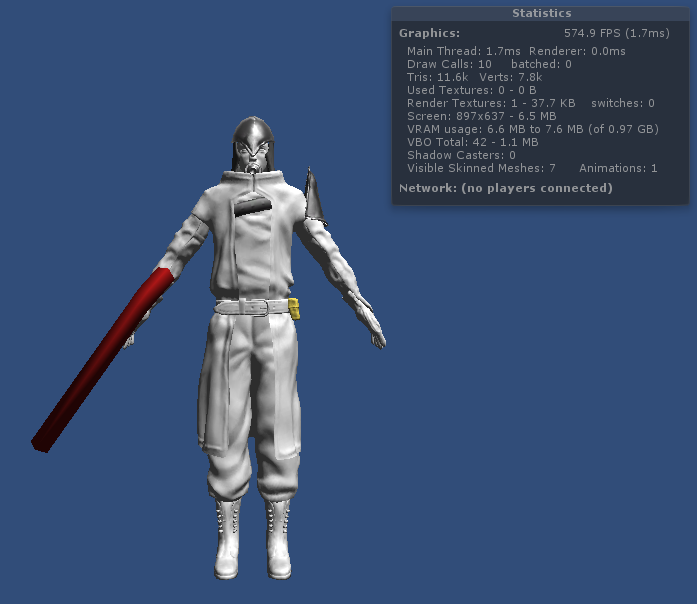 system in the PSN game, Swords and Soldiers (part 1, and part 2). The more I read it, the more I realized, “This isn’t a behaviour tree, this is more like the priority list system I made up long ago”. The A.I. 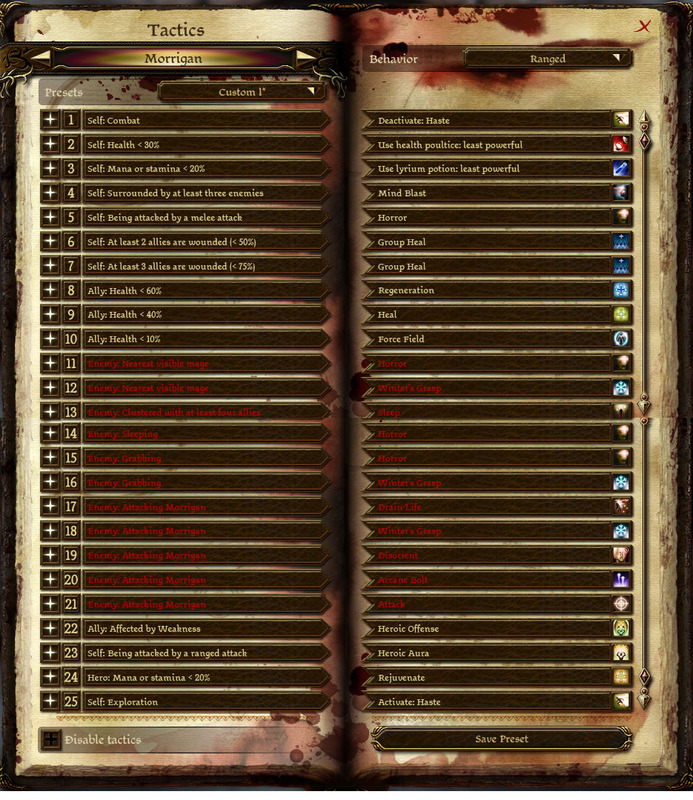 system in Swords and Soldiers is very similar to the priority list system I made up long ago. The nice thing about behaviour trees is you can create one that works exactly like a priority list. The truth though, is that they can have a more sophisticated structure that potentially make them work a lot more “intelligently”. If the priority list is like an if-then-else chain, then the behaviour tree can add more, like a switch statement, nested if’s, and even loops. Behaviour trees are like a visual programming language but made for a more specific purpose (i.e. videogame artificial intelligence). Part of their charm is to make the design of A.I. a lot more accessible to non-programmers, the same way my priority list does. The only problem is its a lot harder to understand. For that, I recommend the article I mentioned above. There’s also this hour-long video about behaviour trees in aiGameDev.com. An account is required, but subscription is free. You could, however, watch that same video for free, without registration, in this three-part series: part 1, part 2, and part 3. 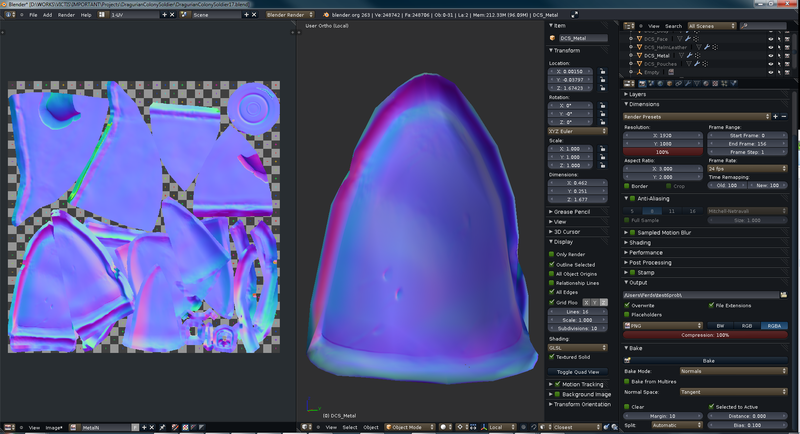 Normal map baking in Blender is very simple and straightforward but there are numerous pitfalls that are not apparent to the user that can make things broken. Have either objects in a layer that isn’t set to be rendered. 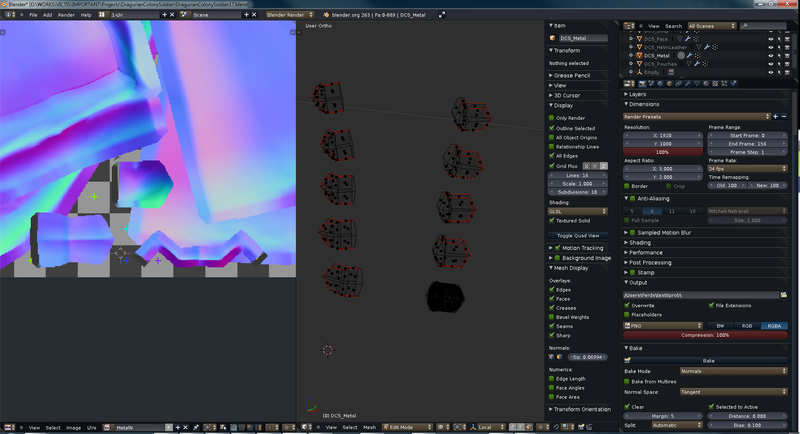 In the Render tab, there’s a section named “Layers”. That determines which layers will be rendered. It doesn’t make sense to me at all that normal map baking has to depend on these things as if we’re rendering to a movie file. 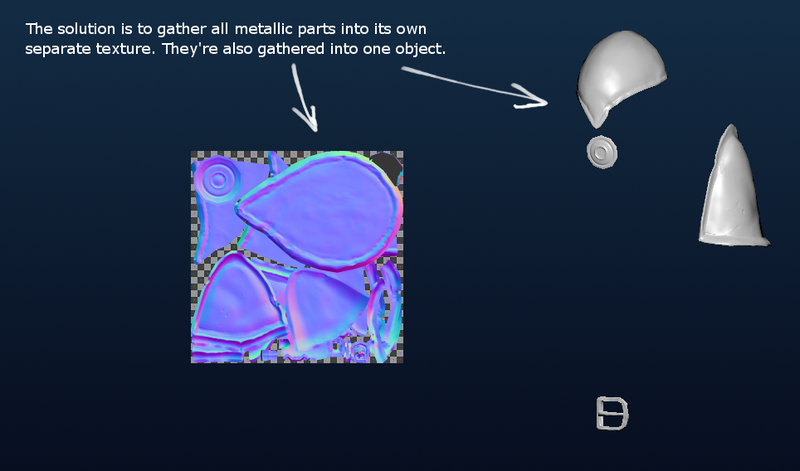 The other possible reason is if the low-poly object doesn’t have an image assigned to it. From my experience you can just create a new image from Blender, assign it to the low-poly’s UVs, and you don’t even need to save it yet. 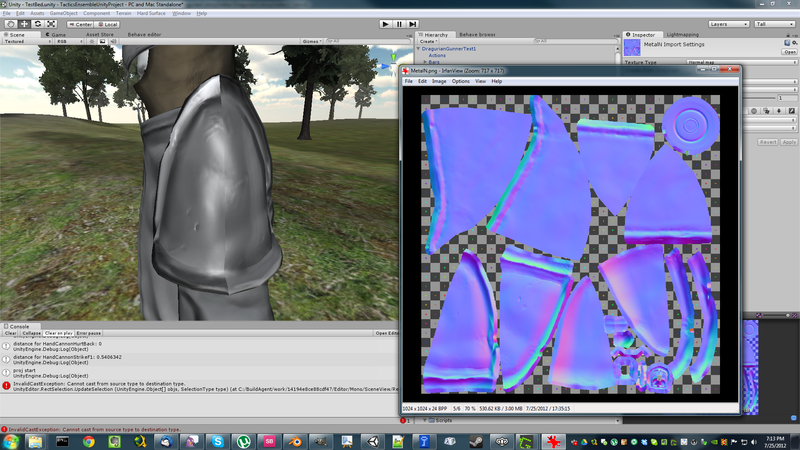 That is enough to make normal map baking to work. 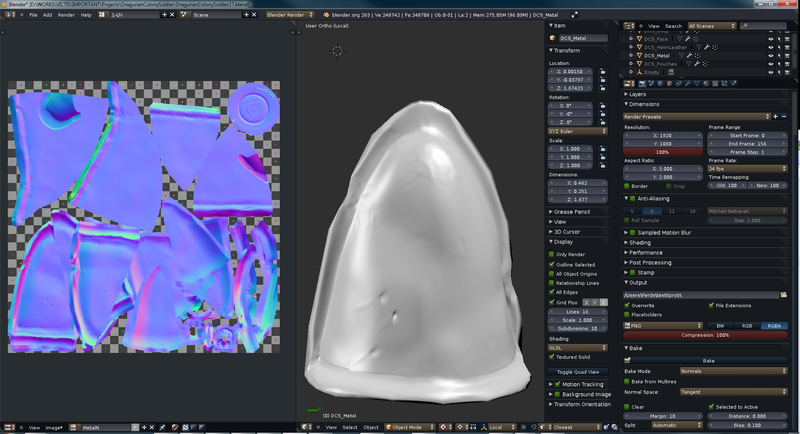 Take care when baking into objects that have overlapping UVs. 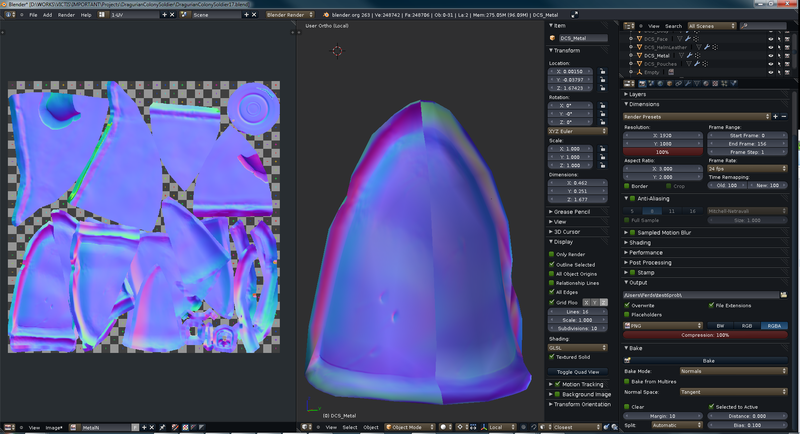 If you have a head whose UVs’ left side is mirrored to its right side, this can cause the baking to overlap as well. 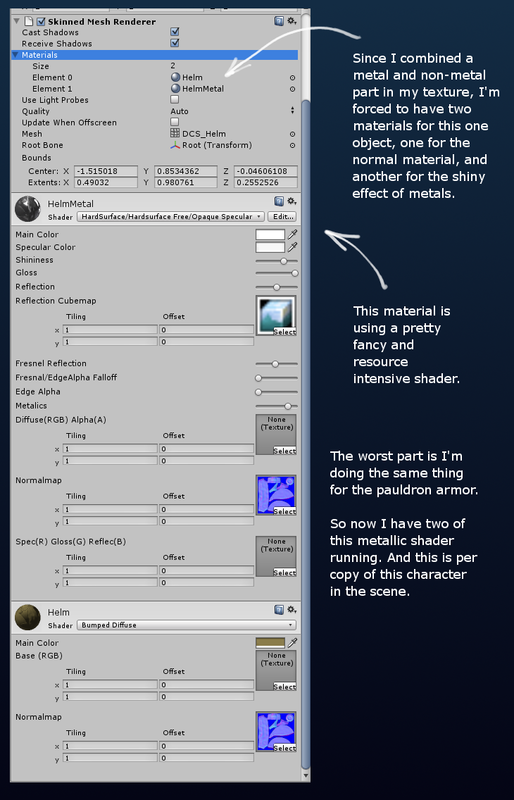 Here, the objects have multiple copies, thus, it made sense for me to simply make them use the same UV space. I was baking the high-poly object you see in the bottommost copy of that object. 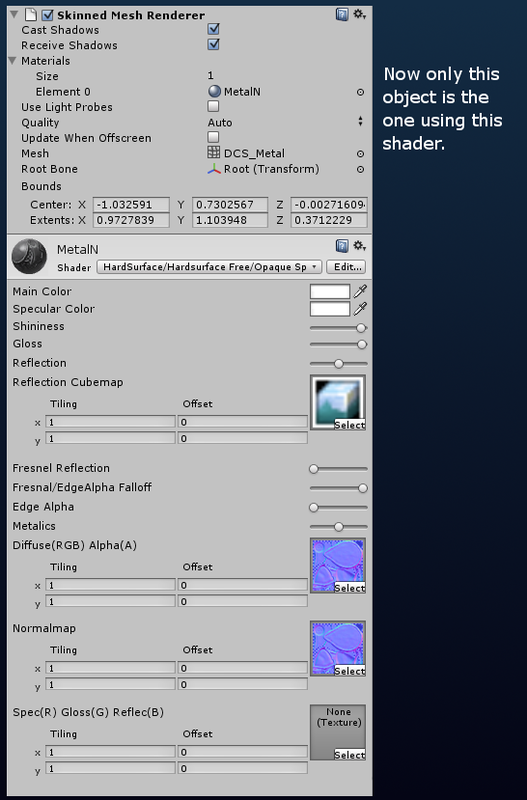 However, the normal map baking produced those lines you can see in the left side of the screenshot. 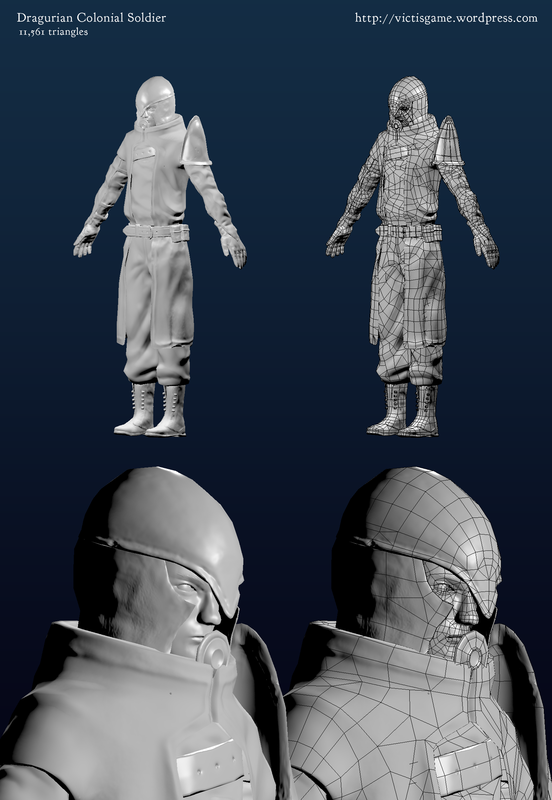 Again, this is because the UVs are overlapping. Then bake again. This will produce a clean result like the screenshot below. 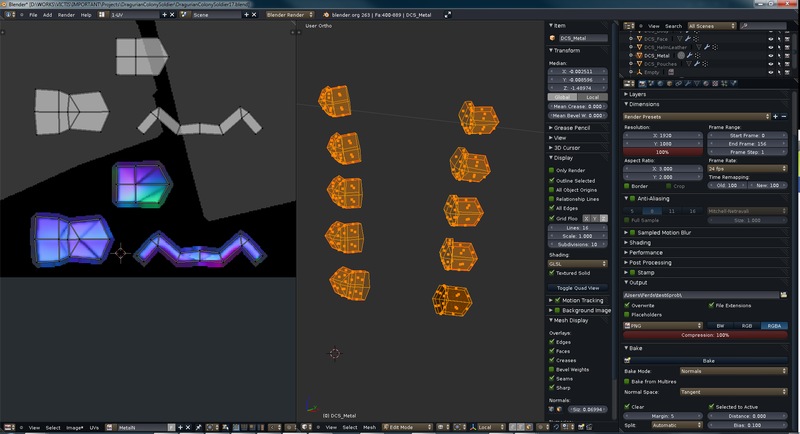 Then simply move the UVs back to their original positions. The left side of my character’s armor seems to be flipped from the right side. 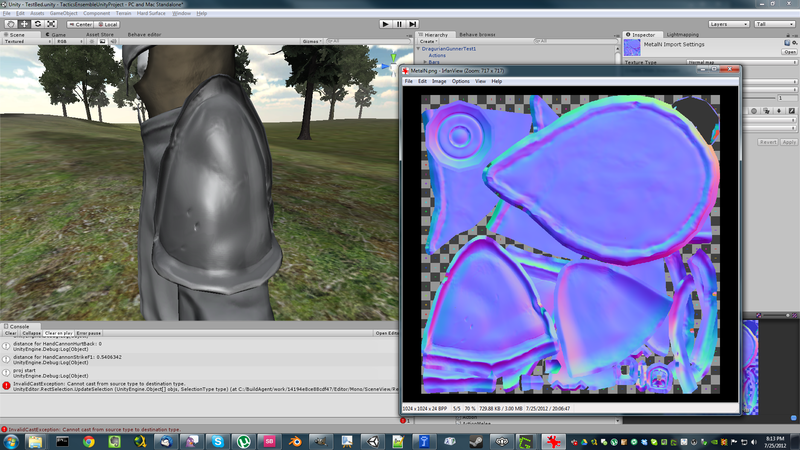 This is because in the normal map (shown in the right side), the UVs were split in half. And then the right half was rotated upside down (because I was saving space). 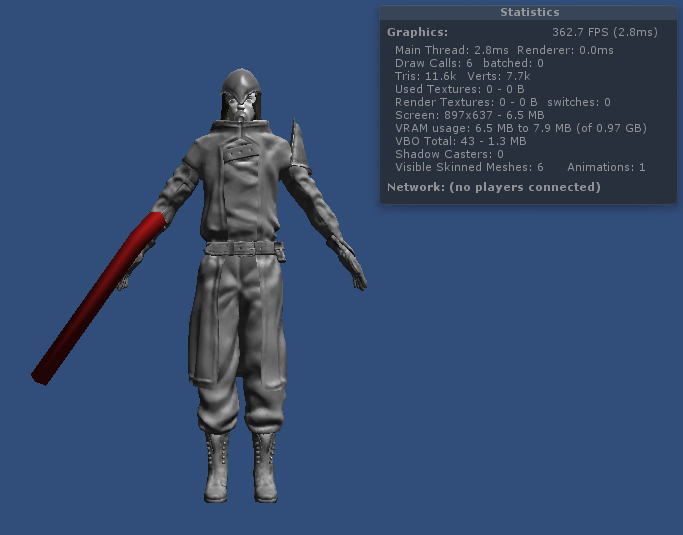 However, when you preview the normal map from Blender, it looks fine. 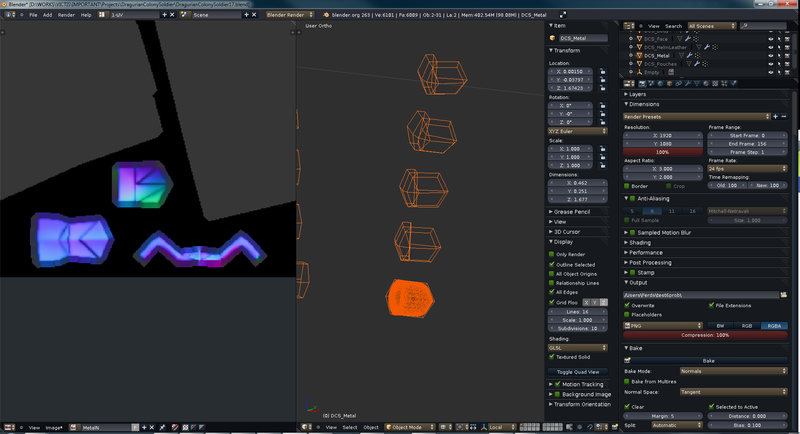 In the end, I was forced to remap the UV layout so there’d be as few seams as possible. This resulted in having to reduce the size of my UVs to fit in the image, but so far, that’s the only way I see to fix it. For the impending IGDA Manila July Meetup, I certainly won’t be able to rush my next immediate objective: enemy A.I. So I’m spending the time doing some polishing here and there. It’s sitting at 11.5k triangles which I think is good, but I could probably shave off a few more without sacrificing much detail. I’ll also add the really cool sounds that Raf had been making. While I’m still finishing reading this book about design patterns, all the weekly update you’ll get is this work-in-progress sketch of Duchess.